Introducing the Kingdom of #Bahrain to cakes with a difference is ‘Popilicious Cake Pops’ by Nasreen Ashkanani. 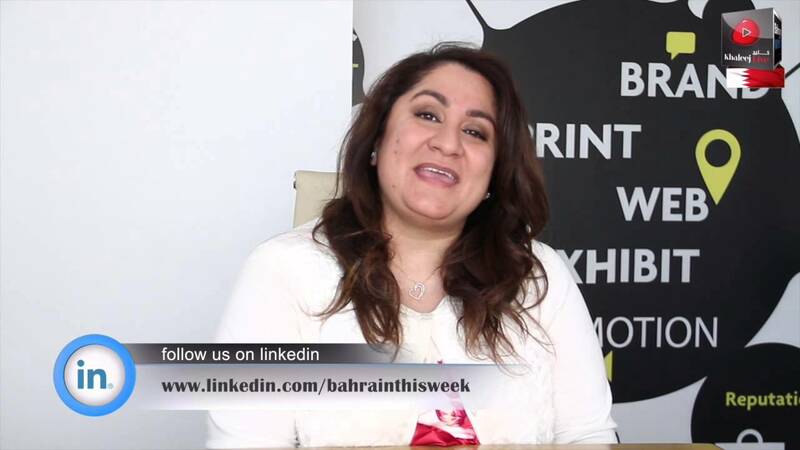 A computer engineer with a Masters in Business Administration, this vibrant entrepreneur has taken what might otherwise be defined as a hobby, to an actual business along with bringing Bahrain to an international pedestal. Even in the midst of her busy schedule, Nasreen was all smiles, talking to the BTW team about her journey as a ‘cake popper’ and young woman entrepreneur. How and when did you start working with cake pops? I was first introduced to cake pops when I was browsing online late one night and came across images of some cake pops. I then decided to tackle the task first thing in the morning and soon enough, I was a moulding, shaping and decorating machine. I have always enjoyed arts and crafts and have had a great obsession towards miniature items. Combining that love with my product development career; I got the perfect avenue to blend both my creativity and my desire to create something from scratch. I never had the intention to see this into a business. But starting from my relatives and friends, requests and orders started coming in aplenty, making pop cakes popular in our Kingdom. I’m always trying to learn more, trying new methods of melting and colouring chocolate and making different delicious recipes. For that reason, cake-popping was more than just a hobby for me; it was the space I had created for myself to push myself forward. That’s how my cake-popping journey started – by trying different recipes, different ways of handling chocolate, different methods of moulding and shaping. It was a very challenging, self-taught experience but it surely was a very rewarding one, seeing how far I have reached, especially when I go over the pictures of my first humble cake-pops. How are cake pops different from normal cakes and cupcakes? Cake pops are special for the fact that each recipient of the cake pop would get a full character or shaped cake pop rather than just a piece. For example, kids would enjoy eating a full minion-shaped cake pop, rather than just a piece of a big minion cake. They are also preferred for the fact that they are great giveaways and do not create as much of a mess when eaten like cupcakes. There is a huge demand for these treats and they have quickly gained popularity. Take one look at a cake pop and you can see why; they are small and so cute!! Kids love them as do adults, for the fact that cake-pops can be completely tailor-made, making them one of the hottest new desserts. You were part of the first of the kind international cake pop convention in the US. Tell us about the experience, representing Bahrain at such an event. I have participated in the first international cake pop convention held in the US which featured more than 180 bakers from 26 states and nine countries under one roof, mainly for networking and sharing their expert techniques on how to make and decorate tiny cakes on a stick. It was an honour and an overwhelming feeling to be surrounded by so many cake-poppers who travelled from different places in the world to attend the convention and to be a part of the global cake-popping community. I finally got to meet those who have been out there in the field years before I started, those who I have been following over social media and have inspired me. Bahrain was the only country from this region attending the international conference and it just goes to show that cake pops are more than just a passing fad. This conference is further proof that this industry is gaining ground. Taking the Bahraini experience to the other side of the world, sharing my challenges, the culture and the local sweet market on the island was fantastic. Many participants were surprised with how cake pops had reached the Middle East and how we have added our own touches with regards to flavours, techniques, as well as shapes related to our culture such as Hookah, Camels, Ramadan cooking pots, lanterns and so on. Being at that show has helped me position myself and my skills amongst the advanced bakers, connect with them and learn new techniques. I brought these skills back home with me to practice, master and eventually add to the local and regional market. I’m hoping to participate again next year with more to add to the convention. Can you explain the creative steps involved in making that perfect cake pop? The steps behind the process are lengthy and creative. The mixing of cake-crumbs with frosting into rounds or different shapes depending on the final cake pop design and then covering them with a delightfully crispy outer shell of colorful candy coating makes for a very sweet confection. Once dipped, the desserts can be covered with candy sprinkles, sanding or sparkling sugar, edible pearls or glitter, chocolate jimmies, finely chopped nuts, crushed cookies, dried coconut, or even your favorite crushed candy. The sugary options and varieties are endless. The idea of basic cake-balls has evolved into different forms, adding a variety of pops into my portfolio such as marshmallow, rice crispy, chocolate-covered Oreo, fortune cookies, macaroon and meringue pops tailored to match the themes of any party or event. Do you follow other cake pop experts for inspiration? During my initial days I used to follow the cake pop idea creator, Bakerella. The cake pop community today however is vast and expanding, where each cake-popper is adding a new idea/touch to these miniature edibles, and each of those ideas can be adopted and enhanced. Do you come up with special flavours of your own for the delicacies? I have made some cake pops with our own traditional flavours, such as Baqlawa, Halwa and Rahash flavours besides the Ramadan related flavors, such as Vimto, Zalabia and Kunafa. The fun part is that any trendy flavour can be incorporated into the cake pop, making it a very flexible and wide area for creativity. I have not stopped at introducing new flavors or making cake-pops only with sticks. I have also arranged them into unconventional towers and floral arrangements, adding a new flavour to the cake and arrangements market within the country. I have even customised cake-pops towards some of the things that are very much related to our daily activities such as shisha, Hajj (pilgrimage)-shaped dolls, Ramadan lanterns and even Vimto bottles! And finally what will be your message to upcoming cake pop bakers of Bahrain? Actually my message is for all women entrepreneurs out there and not just cake-poppers, especially those in the pastry, confectionary and cake-making field. Never imitate blindly but add your very own touches and creative fingerprints to shift the art to a different level. I would also like to encourage every startup to leverage on the social media channels, as currently my popular social media account, Instagram has been doing wonders for my business in terms of reach and exposure. I really hope that my endeavours will help motivate others into following their dreams, striving to reach a wider audience and introduce new cake-pop concepts and trends.